Business Jigsaw Puzzles PowerPoint Templates And PowerPoint Themes 1012-This template with an image of four jigsaw pieces showing business metaphor for communication helps you chart the course of your presentation. Our PPT images are so ideally designed that it reveals the very basis of our PPT template are an effective tool to make your clients understand. The structure of our templates allows you to effectively highlight the key issues concerning the growth of your business.-Business Jigsaw Puzzles PowerPoint Templates And PowerPoint Themes 1012-This PowerPoint template can be used for presentations relating to-"Business puzzle in pieces, business, metaphor, success, teamwork, leadership" Our Business Jigsaw Puzzles PowerPoint Templates And PowerPoint Themes 1012 ensure you never fall short. They have much more than you can want. 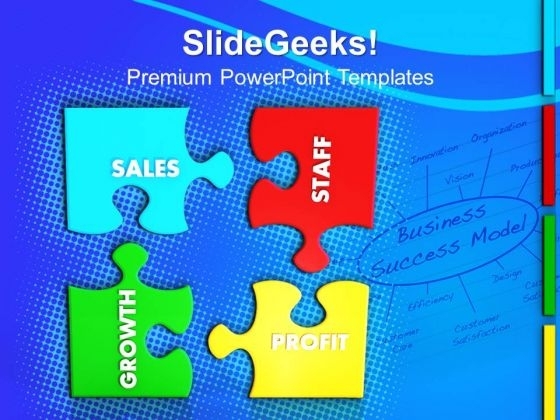 Make remarkable presentations with our Business Jigsaw Puzzles PowerPoint Templates And PowerPoint Themes 1012. You'll always stay ahead of the game.